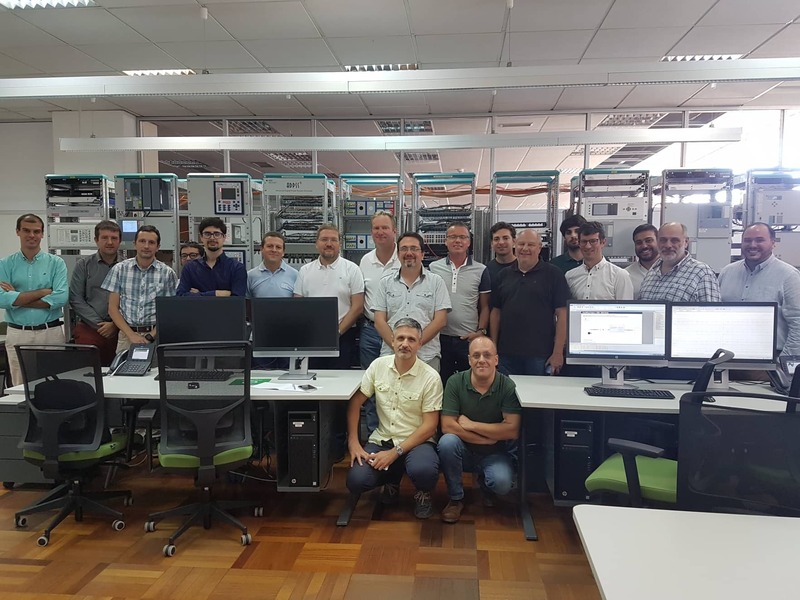 R&D NESTER hosted the meeting of the team that participates in the 'interoperability' task of the OSMOSE European project, which took place at its Sacavém facility, on the 1st and 2nd of October. This project aims to study the application of flexibility solutions for the optimal integration of renewable energy sources and the demonstration of technological solutions and innovative flexibility services in electric energy systems, such as energy storage systems. In particular, the task of 'interoperability', involving R&D NESTER researchers Ricardo Cartaxo, João Saragoça and Nuno Amaro, has the purpose of producing a demonstrator to prove the correct operation of a system consisting of IEDs (intelligent electronic devices) from different manufacturers, communicating according to IEC 61850, which defines communications in power systems, having interoperability as its first objective. Since the results of this task are expected to be disseminated to IEC 61850 stakeholders, Grégory Huon, leader of the IEC 61850 working group of ENTSO-E and Christoph Brunner, responsible for the edition of IEC 61850 and other standards related issues are part of the team. Thus, this task is being developed in coordination with the mentioned working group, which objective is the improvement of the standard, both in terms of the data model of the devices and the respective configuration process.R&D NESTER plays a central role in this task, as the demonstrator will be installed in its laboratory in Sacavém. This demonstrator will simulate two substations, connected by a transmission line, each one having a storage system, which objective will be to minimize the possibility of occurrence of overloads in the line. The installation of the demonstrator and the respective tests will take place during next year, having the team felt the need to carry out preliminary tests, at software level, which resulted in the schedule of this meeting. In addition, it was also essential for the team to have contact with the laboratory, for a better planning of future actions, fact that defined the location of the meeting. In this meeting, the team also reviewed some of the deliverables, as well as the next tasks to be performed. REN is also a partner in this project, which counts with the participation of several entities such as RTE (French TSO), Elia (TSO Belgian), REE (Spanish TSO), Efacec, Siemens, ENTSO-E, among others.